Only for first 100 buyers! 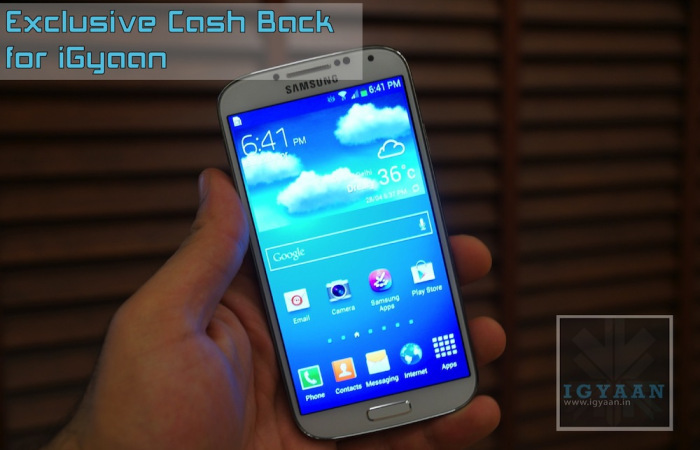 We have an exclusive iGyaan Samsung Galaxy S4 discount. If you have decided on buying the Samsung Galaxy S4, then you will truly enjoy the Samsung Galaxy S4 Discount. Simply visit Gizmolution and select the color of preference and check out. 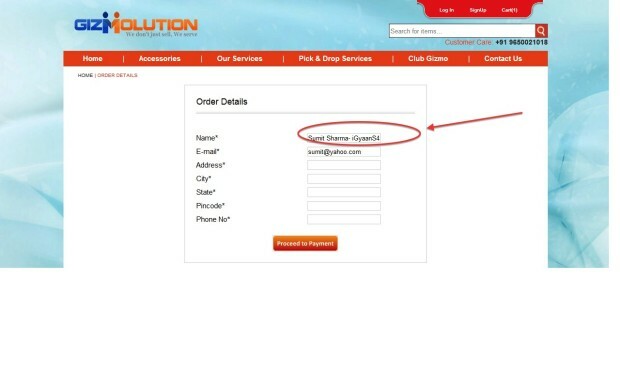 However while checking out ensure that you add “-iGyaanS4” in the Name box after your name. If your name is Sumit Sharma , write your name as “Sumit Sharma-iGyaanS4) and you will get a cheque of Rs.1500 along with your Galaxy S4. Now remember this is a limited time offer, and is exclusive to iGyaan Readers. So don’t miss out on the Samsung Galaxy S4 Discount! The Samsung Galaxy S4 was launched on April 26th in India, and retails for a Price of Rs. 41,500. The Smartphone has a dual-Quad core setup along with a 5 inch Full HD Super AMOLED Display. The cameras and optics have improved with a 13mp Sony Sensor and a front facing 2.1 MP camera. Both capable of FULL HD video recording. The Samsung Galaxy S4 in India comes with 2GB of Ram and a 16GB storage capacity along with expandability options via microSD card (max 64GB).